Born in 1703 of the passion of its founder, Czar Peter the Great, to bring an unwilling Russian nation into the fold of Europe, St. Petersburg remains an Imperial city of golden spires and gilded domes, of pastel palaces and candlelit cathedrals. Its eclectic blend of European and traditional Russian styles reminds visitors of Rome, Paris, Venice, Vienna and Amsterdam. 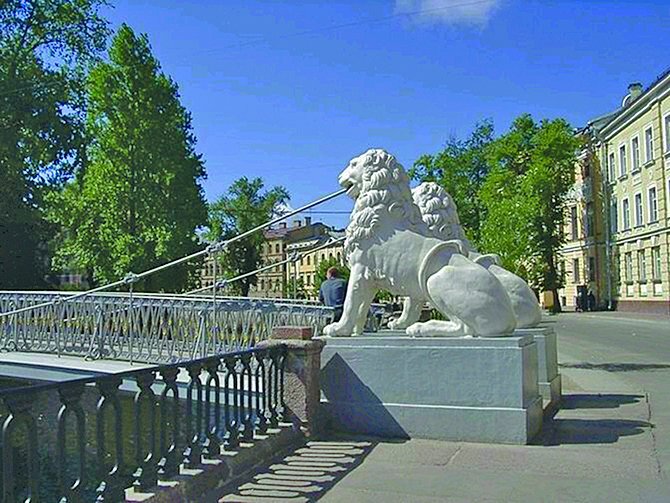 Feast on the Hermitage's 35 Matisses, take a Neva river cruise, then saunter through the stately streets - still peopled by the spirits of Dostoyevsky, Faberge, Diaghilev, and Tchaikovsky! Arrive in St. Petersburg. Its winding canals, inspiring architecture and unique spirit of the city itself sets the scene for a magical time that awaits you ahead. Today you will be touring the world famous Hermitage Museum. Started by Catherine the Great as a private art collection, the Hermitage grew into a world-class museum. Today you will travel with your guide outside of St. Petersburg to Petrodvorets (Peterhof), the Russian Versailles, to visit Peter's Summer Palace and the park. Petrodvorets is the brilliant Summer Royal estate and the artistic gem of Peter the Great, where a highlight is the delightful sequence of 37 gilded bronze sculptures, 64 fountains and 142 water jets known as the Grand Cascade. The above prices are in Canadian dollars, per person, based in twin share. Today your guide will take you on a half day panoramic City Highlights tour. Your sightseeing tour features most noteworthy sites of this elegant city including views of the Winter Palace, the Admiralty, St. Isaac’s Cathedral, Palace Square, the Church on the Spilled Blood, Mariinsky Theatre, fashionable Nevsky Prospect, a network of canals and waterways, grand palaces, noble mansions and much more! Today you will travel with your guide outside of St. Petersburg to Petrodvorets (Peterhof), the Summer Palace of Peter the Great, on the Gulf of Finland. The package can be customized to your specific interests. Please contact us for details.